N174 Jack Dempsey. The second major boxing issue from Goodwin consists of albumen photographs in nine formats; the set is very complex. Cards with the rectangular bottom logo are sometimes found with a distinctly pink hue. 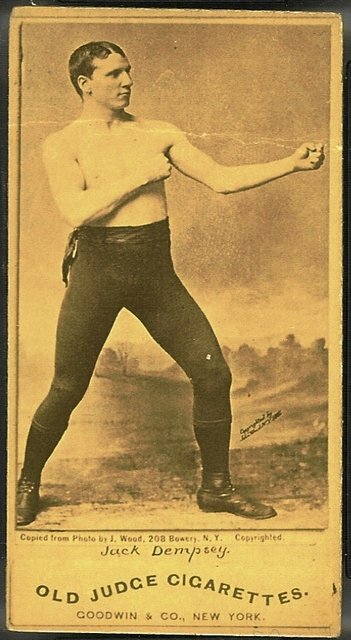 I have no idea nor, frankly, does anyone else, whether only certain boxers have cards in certain styles, and to state otherwise is to speculate. I have a comprehensive checklist in my book but new variations do surface. N174 cards sell for high prices when they are found.